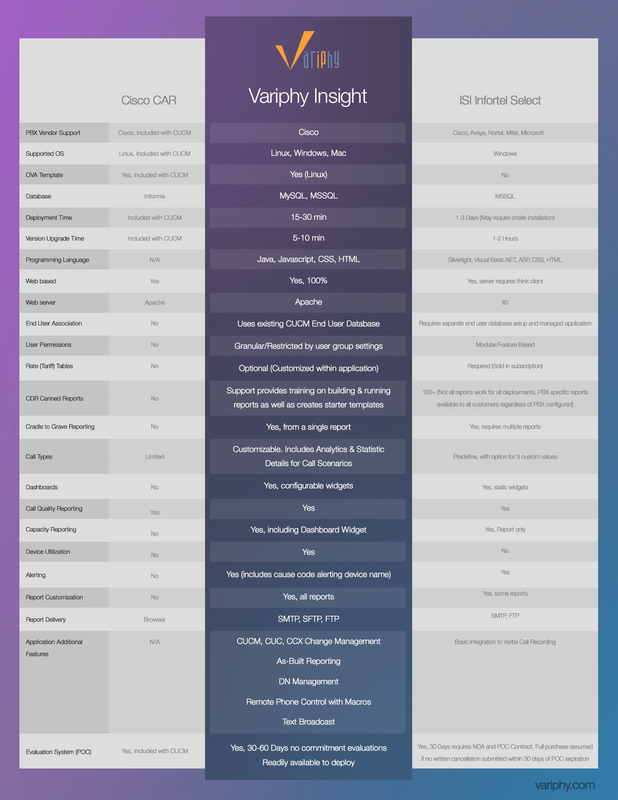 Join to view our Cisco CDR Product Comparison Table, highlighting the difference between three of the most popular CDR reporting platforms. We'll send out our latest Newsletter soon and unveil exciting enhancements to CDR reporting and call analytics in Variphy Insight 11.0, as well as upcoming events and recent success stories. Thanks - You're All Set! A confirmation email should be on its way to you now - just confirm you receive it and that it's not in your spam folder. We'll be in touch soon (but we promise not too often) with product and event updates! Interested in a free trial of Variphy? By submitting this form, you are granting Variphy permission to email you.